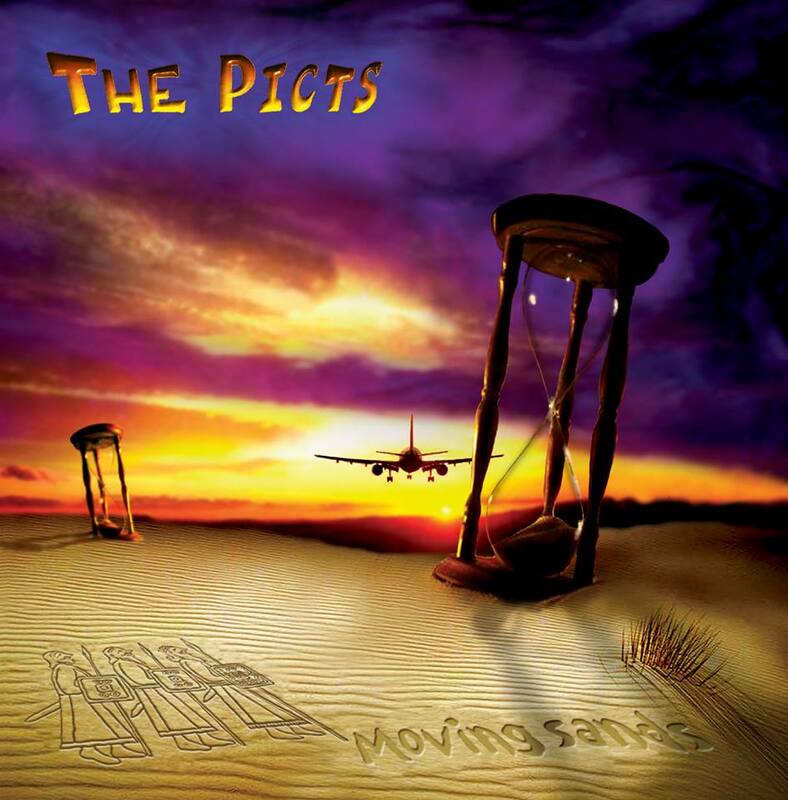 The long awaited second album of The picts may well have been a while in coming, but early response suggests that it will be even more successful than its predecessor, the highly acclaimed The Island. The concept of Moving Sands is loosely based on time and seasons. Similar to The Island it is a fusion of the original and traditional but delivered with a more contemporary and progressive edge. The Picts line up has changed a bit since The Island and the newcomers have brought their great strengths to the sound. The three original members are the same; Douglas McQueen Hunter on vocals and guitar, Jeremy Stirling on keyboards and Tony Higgins on drums. They are joined by Richard Smith on accordion, Ruaridh Campbell on fiddle and Stuart Glasgow on bass. This project sees The Picts first collaboration with other artists on a recording. The cellist Sarah Nelson appears on three of the four songs; Spring, Dusk and A Winter’s Night. Stevie Laurence plays whistle on the slow and moving Kirsty’s Tune and saxophonist Stuart Forbes adds to the moody atmosphere in Dusk. There is an excellent mix of moods and approaches on this release. Of the four songs on the album (one for each season) Spring is uplifting and powerful with dynamic vocals and rhythmic fiddles. Wonder of Love is fast and rocky where Dusk and A Winter’s Night are laid back and reflective, yet lack nothing in power. All four songs are colourful and create vivid pictures with both words and music, without encouraging sentimentalism. The opening track, Daybreak along with the four sets of tunes; Recorded With Shades On, Moving Sands, Blackberry Bush and Thunderhead, have all captured the live energy which has made the band such a successful and popular live act. All of the Picts trademark sounds are brought into play, the rapid acceleration, explosive energy, irresistible rhythms, power and crafted backings. Long Wave is the kind of track that creates a different mood with every listening, cheeky, quirky, laid back, fun… It is The Picts first adventure into programming and sampling and proving to be very popular. The Beardance and Kirsty’s Tune are both beautifully orchestrated pieces, which show a more intimate side of the band. The Beardance is quite broody and subtle. where Kirsty’s Tune is haunting and spacious. One thing is guaranteed after listening to the music of The Picts, you will go away whistling the tunes.